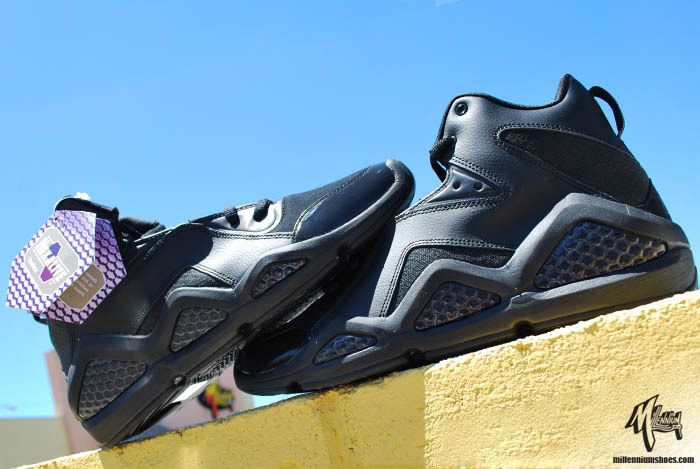 Swizz Beatz takes the "all black everything" approach with the next colorway of his Reebok Kamikaze III. Swizz Beatz takes the "all black everything" approach with the next colorway of his Reebok Kamikaze III. The shoe features a black leather upper with nubuck and mesh paneling, as well as patent leather wrapped around the toebox. 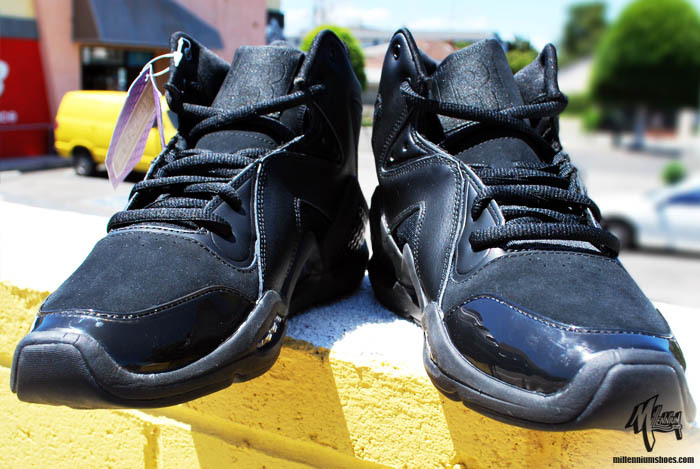 Black also works the inner liner, heel pull-tab, Hexalite-cushioned midsole and outsole. Reebok branding on the tongue is tonal. 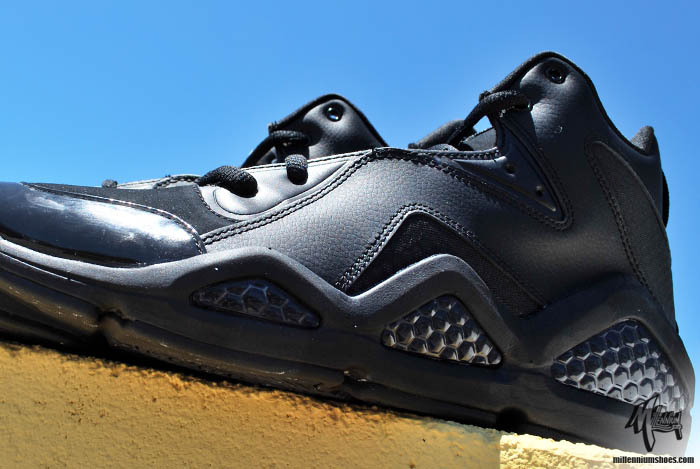 Pick up the "Blackout" Kamikaze III on July 10th at R23 retailers like Millennium.